We’ve been seeing some good displays of Indian Warrior lately, so we’ve decided to make them our Wildflower of the Week. 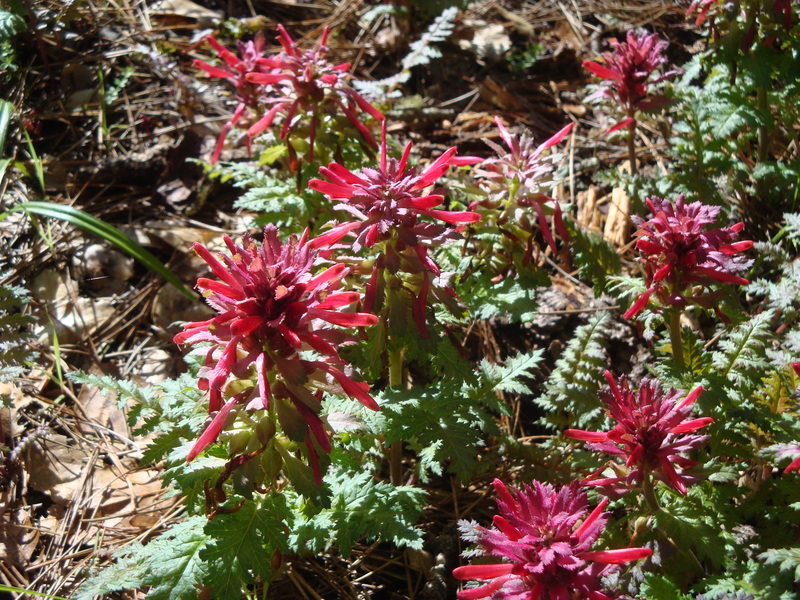 A former member of the Figwort Family (the Scrophularaceae), Indian Warrior, together with other local favorites like Paintbrush and Owls Clover, is now considered to belong to the Broomrape Family (the Orobanchaceae). The Broomrape Family is a family of parasites, many of which cannot carry out photosynthesis on their own and must parasitize other plants to live. Indian Warrior is not in this category. It is a hemiparasite, meaning that it can live quite well on its own, but is not above parasitizing other plants if it gets the chance. It is particularly fond of manzanita. 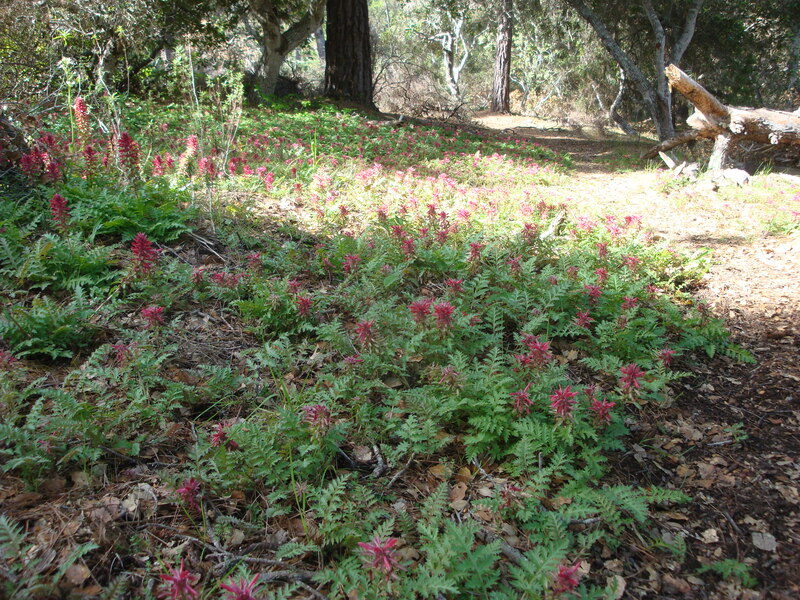 It is also closely related to the very rare Dudley’s Lousewort (Pedicularis dudleyi), which grows only in the deep forests along the sides of a few Central California streams (most famously in the Pico Blanco Boy Scout Camp, on the banks of the North Fork Little Sur River). Indian Warrior blooming under, and no doubt parasitizing the roots of, manzanita at Pinnacles National Park. Indian Warrior occurs at low elevations throughout much of the western United States. 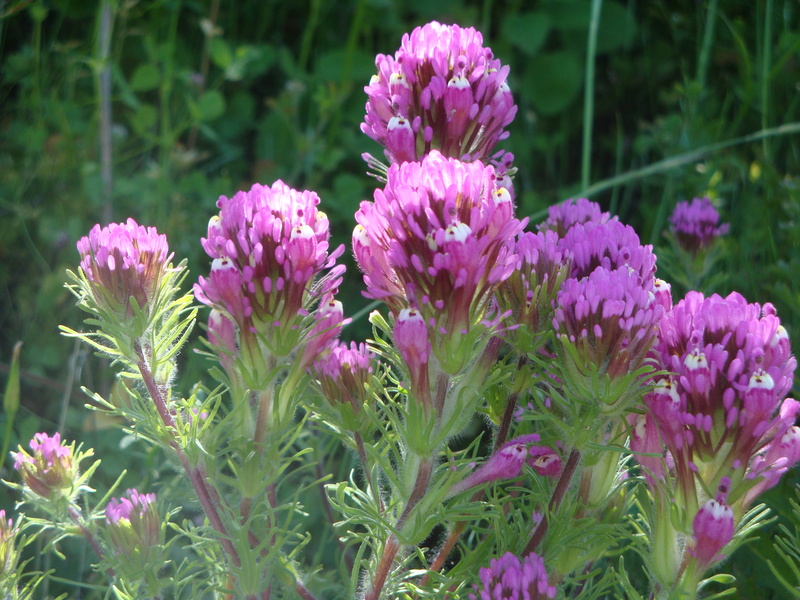 It was reportedly used by some Native people as a muscle relaxant and for other medicinal purposes and, even today, its aficionados tout its medicinal, not to mention recreational, potential. In fact, the web is crawling with merchants eager to sell Indian Warrior leaves, buds, extracts, etc. Caveat emptor. Indian Warrior growing in profusion along a trail near Jack’s Peak, on the Monterey Peninsula. This entry was posted on Friday, March 29th, 2013 at 3:47 pm and is filed under Gabilans, Plants, Wildflowers. You can follow any responses to this entry through the RSS 2.0 feed. You can leave a response, or trackback from your own site. I thought this one was parasitic, but did not know owl’s clover was. Thanks for the education, XT. 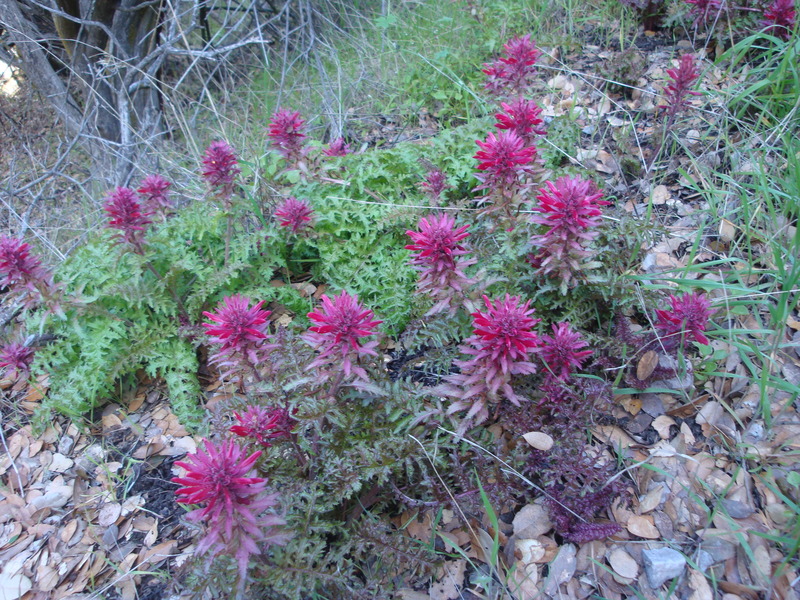 Like Indian Warrior, Owl’s Clover, and the other Castillejas are hemiparasitic. They generally get at least some of their nutrition from the roots of the grasses in the fields where they bloom.